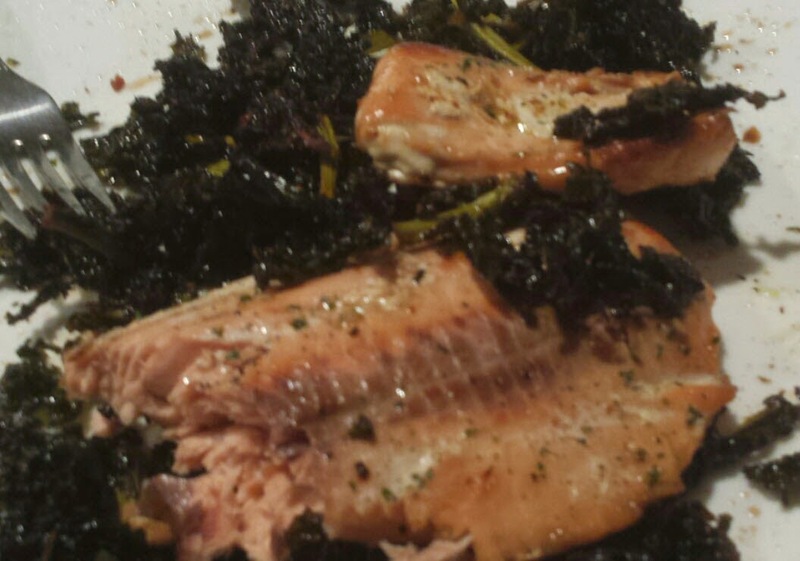 Sweet and salty kale chips are a unique and healthy accompaniment to rich salmon fillets. Perfect any time of the year, but especially good now as the summer wanes and the fall approaches. Sit on the deck or patio and enjoy a nice glass of wine while you dine. This recipe is a family favorite – and you can never make enough kale chips. Salmon…they swim upstream…which makes me think of the struggles we sometime experience in growing and maturing our Agile practice. Not all areas of an organization come along for the swim and partnering and collaborating is not always easy. But as the saying goes, “just keep swimming, just keep swimming” and in the end everything will be delicious. See more on this topic at Isaac’s post on driving an agile culture.